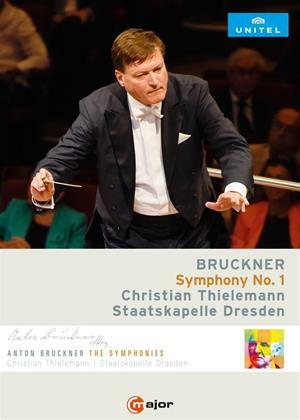 Christian Thielemann and the Staatskapelle Dresden already released the Bruckner symphonies Nos. 3, 4, 5, 6, 7, 8 and 9 and continue their Bruckner Cycle at the Philharmonie in Munich with Symphony No. 1 in C minor, Bruckners first masterful composition. Thielemann, widely regarded as the leading Brucknerian of our age, opted for the livelier early original Linz version of this symphony. Buckner himself called it a cheeky wench and said about the finale: Never again have I been so audacious and bold.